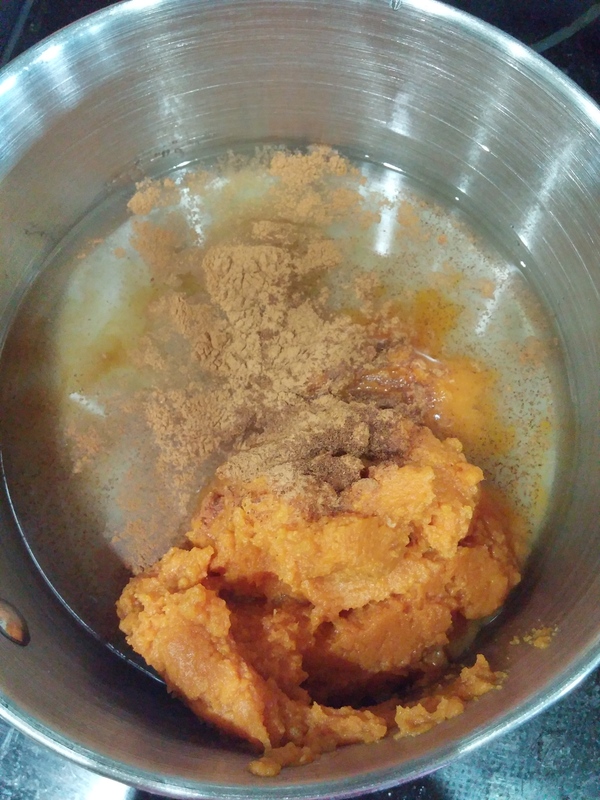 It’s officially my favorite food season of all….pumpkin season!!!!!!!!!!!!!!!!!!!!!!!!!!!! 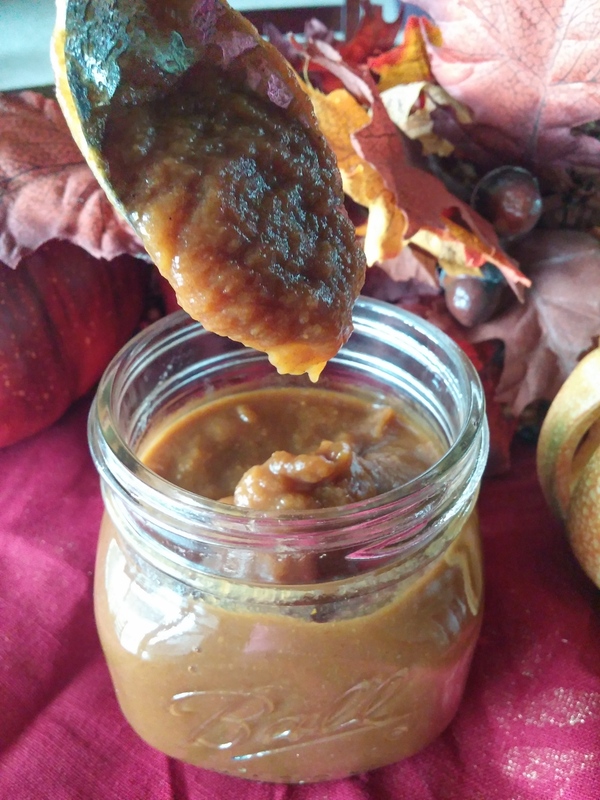 As much as I hate summer to come to an end fall is just so cozy and fun, full of color, casseroles, crock pot recipes as well as of course apple and my beloved pumpkin! It’s also when the cotton is blooming which after almost 4 years of living in the south, I am still amazed by every year! Pumpkin seems to be a favorite flavor for many people this time of year so I’m sure I’m not alone when I say it’s always so exciting when Starbucks and Dunkin Donuts release their pumpkin lattes/coffees! The problem is, they are loaded with sugar and while they go down oh so smoothly, we are packing in the calories. I try very hard to not “drink” my calories all that often, mostly just because I love to eat so much that I love having my calories come from my food! However, once in a while you need a treat! So this morning I decided that I was going to make my own pumpkin sauce and make it a lighter version with less sugar and less calories. 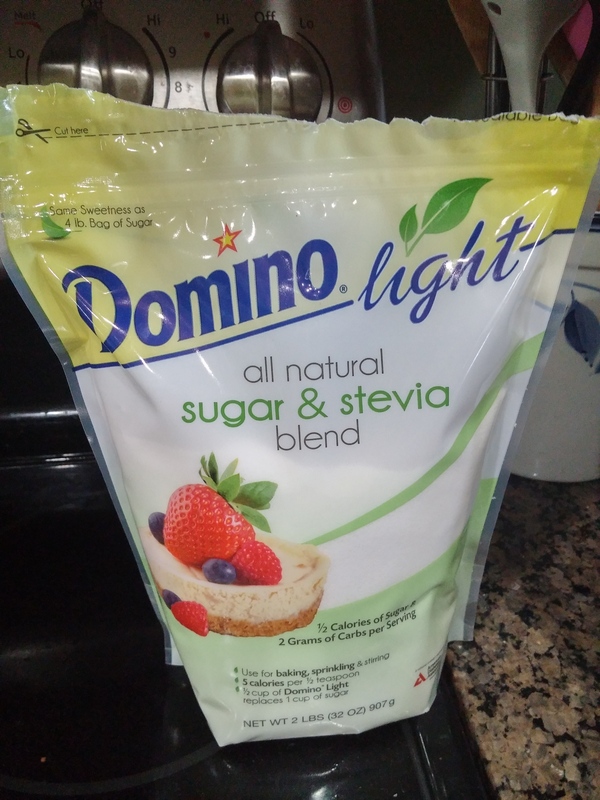 I recently bought a bag of Domino’s sugar/stevia mix that I have been wanting to try so my pumpkin sauce was made with that! Here is what the bag looks like! I do my best to stay away from artificial sweetener, that’s just me, I’m very skeptical of non calorie sweeteners. Stevia, however, is a plant derived natural sweetener. Remember when using this product as with other alternative sweeteners, you want to use much less, about half what you would for actual sugar. 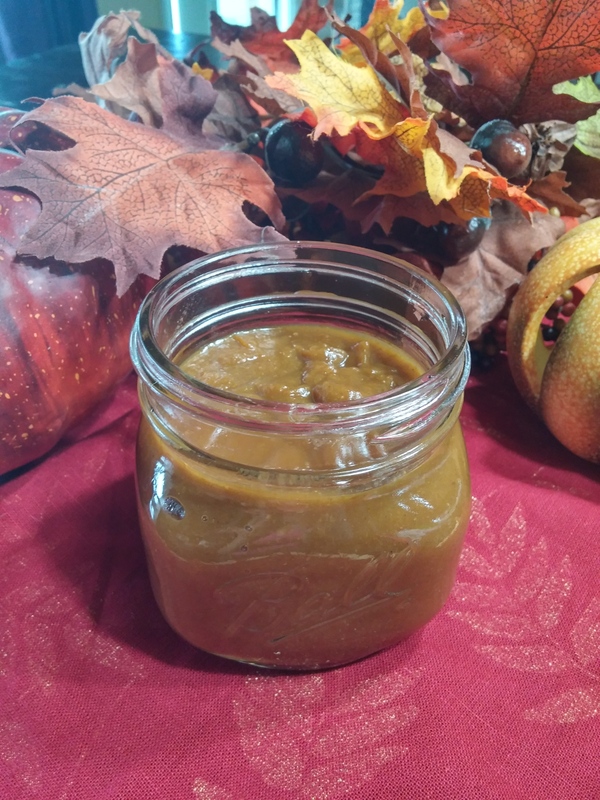 This sauce came out wonderful and is so good in my coffee! I think I need to run to the store for some vanilla ice cream and try this over the ice cream as well, I bet that would be delicious! 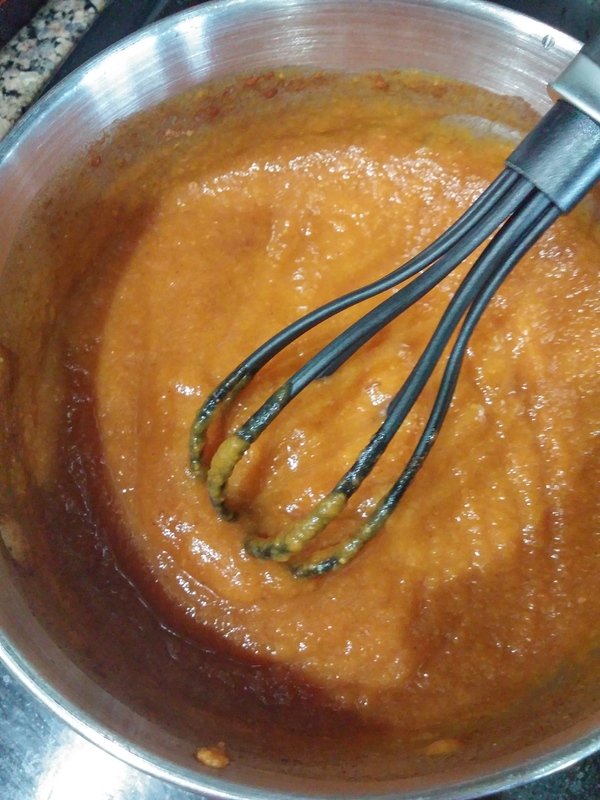 Here is what I did to make this sauce. In a small sauce pan add all of your ingredients and cook on high whisking very often until you get it to boil. 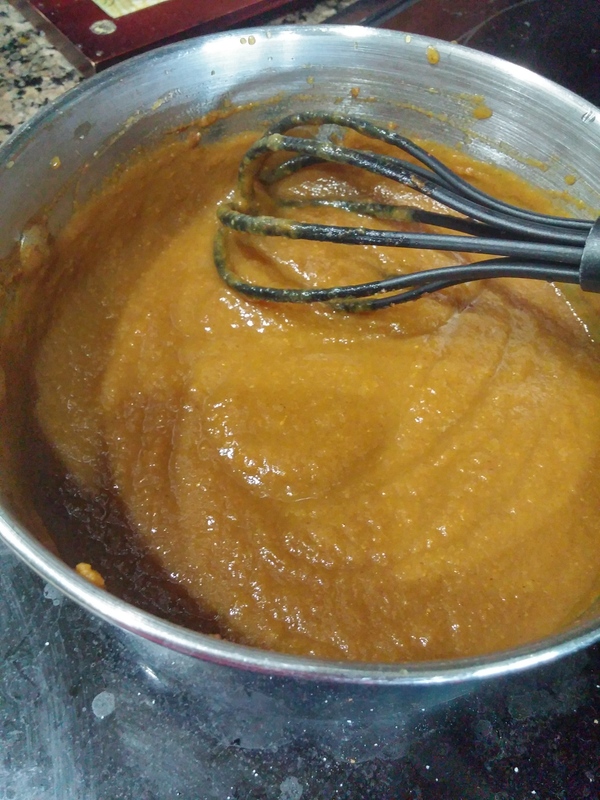 When you reach a boil reduce your heat to a low setting, and cook for about 8-12 minutes whisking often. When it starts bubbling and has a nice sauce like texture it’s done! Remove from heat and set aside to cool for about 10 minutes. After 10 minutes add your sauce to a pint size jar, cover and refrigerate. You should use it within a month, trust me, you will!